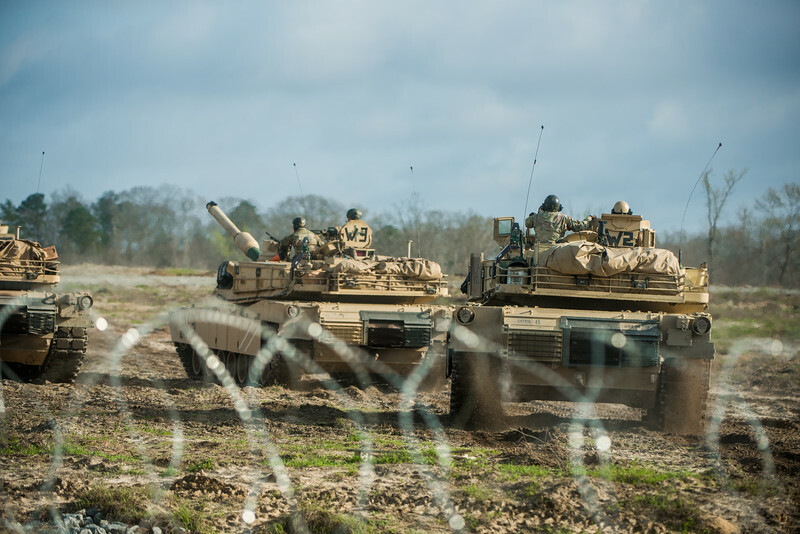 (FORT BENNING, Ga) - Students from the Infantry and Armor Basic Leader courses train for their future careers and develop realistic tactical skills during a combined competitive maneuver exercise at Fort Benning's Good Hope Training Area March. 01. Students are tasked with the objective of defending or seizing an installation.